Miles has been involved in property for over ten years. Having originally studied property management and investment at university, Miles has since worked in both the residential and commercial sectors as a letting agent, estate agent and most recently as a commercial surveyor where he helped establish a successful firm in London. Miles is an NLA accredited landlord. Miles also has a passion for new technology and entrepreneurship and has recently held consultative roles at various tech startups in the UK and abroad. He was recently involved in the acquisition of a well established publication for which he was acting publisher. Miles has worn many hats in his career and as a result, has the ability to comfortably lead and advise on multi-disciplinary projects while engaging and advising all levels of seniority within businesses. 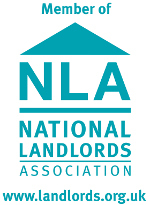 The National Landlords Association is an organisation that aims to improve private rental legislation and standards for both tenants and landlords. Being accredited with the NLA requires us to complete regular training so we’re always fully aware of our legal requirements to you. What NLA accreditation means.